Peter Miksza and Kenneth Elpus (2018). Design and analysis for quantitative research in music education. New York, NY: Oxford University Press. There is a natural correlation between music and mathematics, yet quantitative analysis may be daunting to the music education researcher, particularly one positioned on the qualitative side of the fence. Through direct application of this book to my mixed methods doctoral study in music education, I confirm this is a must-have item for PhD candidates, their supervisors and any other music education researcher. Upon first scan, one notices the complexity of analytical know-how interspersed with relevant examples of music research throughout. The mathematics within was never daunting but always immensely practical based on the explanatory music education examples and ultimately, to the selection of formulas by the authors considered most relevant to the field. The explanations about quantitative analysis are comprehensive and engaging, with total music education focus. If I didn’t have a mixed methods study to consider, this book would inspire me to start one. The book commences with a prelude (Chapter 1), which provides – as it would in a musical work – an appropriate introduction to the larger work. The prelude introduces the two main parts of the book, gently steering the reader from perceived quandary into the rationale for quantitative research. From the outset the authors acknowledge that “trying to imagine how the deeply personal and rich experience of music teaching and learning could be quantified is often a difficult challenge” (Miksza & Elpus, 2018, p. 3). The aim of the book is to assist the music educator to capture the story of their numeric data and translate it into words. The chapter concludes with a coda which has a delightful request; to close the book in order listen, play or create some music, then return to commence the quantitative analysis journey. Chapter 2 is an important contextual discussion prior to Part 1; a short discussion to cover scientific inquiry, epistemology and research design. Part 1 was, in my quest to begin to make sense of my survey data, nothing short of a godsend. I spent a great deal of time working with Part 1: “Foundational concepts for quantitative inquiry in music education”. It is a considerable portion of the book containing Chapter 3 to 10 of a total of sixteen chapters. Part 1 commences with Chapter 3, pertaining to descriptive research design, focusing on observational research and survey research. Descriptive research design, the “systematic acquisition of information for the purpose of observing or documenting variation in some phenomena” (p. 17), is discussed as the necessary step to begin theorising about data. The writers indicate that the type of observational research discussed in the book sits within a scientific method; it is empirical and systematic and provides discussion about research design which reflects the capacity to observe and measure. Chapter 4 to Chapter 10 provides invaluable introductory discussions relating to a range of foundational analysis concepts. These include descriptive analysis, inferential analysis and in Chapter 7, correlational design and analysis. These chapters are in-depth and guiding, whilst maintaining their preparatory focus. Music education research examples are woven consistently into all chapters in highly appropriate ways. Such an example is in Chapter 7 “Causation and Causal Claims” where sample research questions are posed in relation to the chapter contents; “How can singers best learn to sing melodic intervals in tune? What is the most efficient way for string players to perform with vibrato? How can teachers best motivate young musicians to practice?” (p. 90). The book leads the reader comfortably, with music education thinking at the forefront, into theory, philosophy, testing, and a considerable exploration of experimental research design and analysis (Chapter 8) in which statistical procedures collectively known as ANOVA (analysis of variance) are introduced and discussed. Mathematics is cushioned always by example which always sooths the music educator by relating these things to everyday life. Experimental research is further explored (Chapter 9) and Part 1 is completed with Chapter 10, Regression, such as linear, bivariate and non-linear relationships and regression analysis. Every technique must have been covered, or so I thought, until I read Part 2. Part 2, titled “Advanced concepts for quantitative inquiry in music education”, should not be assumed to be any more difficult for the non-mathematician, because it rather deals with the important variation of data and what to do about it to gain a stronger analysis which recognises difference within a sampled group. This, I realised, was highly relevant for my study and interestingly Part 1 had given me the confidence and the adequate know-how I needed to approach Part 2. For example, cluster data within survey research. Chapter 11 moves from simple random sampling, gently into stratified random sampling and cluster sampling, concluding with prior research from music education literature to demonstrate such approaches. Chapter 12 provides an excellent reflective two-page opening, summarising the basic concepts – as was covered in Part 1 - contrasted to that of nested data structures, paving the reader’s understanding towards the focus of the chapter, multilevel models. Chapters 13 and 14 cover exploratory and confirmatory factor analysis, structural equation modelling respectively. The presentation of current advances in quasi-experimental methods is the focus of Chapter 15. The book concludes with Chapter 16: Postlude, in which the reader is guided to keep asking questions and to read music education research to see these techniques in play for consolidation of quantitative analysis processes. The authors’ obvious attention to careful explanation and rationale which precedes each analysis technique was time extremely well spent. This ensures that the flow of mathematics which follows these discussions is subsequently more easily grasped. The entire book, although especially Part 2, provides dozens of graphs, formulas and tables, showing the concepts in a visual form. Each chapter concludes with the references pertaining to that chapter, which is incredibly handy (at times numbering over twenty texts per chapter) and there are also suggestions for further reading. The authors know their stuff; the book is intuitive and instinctual. As I worked the concepts into my own survey analysis, I found that the book was anticipating my questions. The text has been invaluable for my doctoral study. 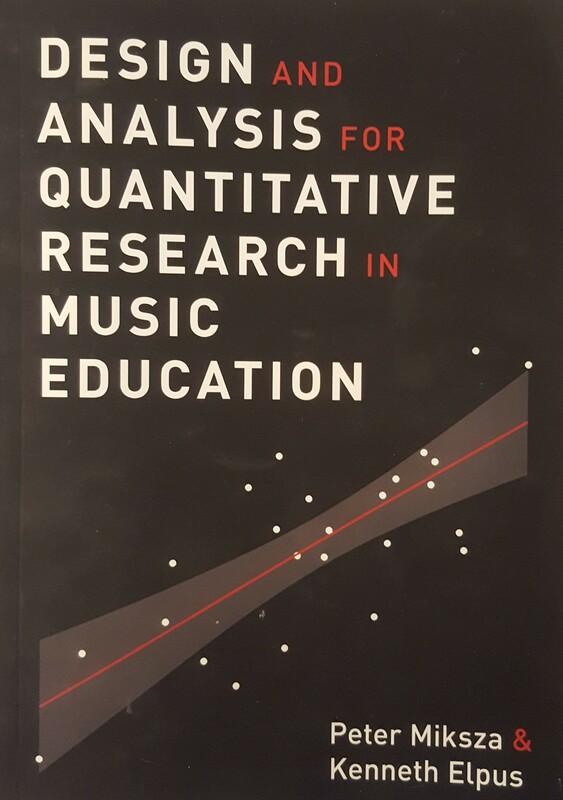 This book is highly recommended for mixed methods research and quantitative methodology approaches in the field of music or music education. Fiona King is a tertiary arts educator, researcher and professional musician in Melbourne. 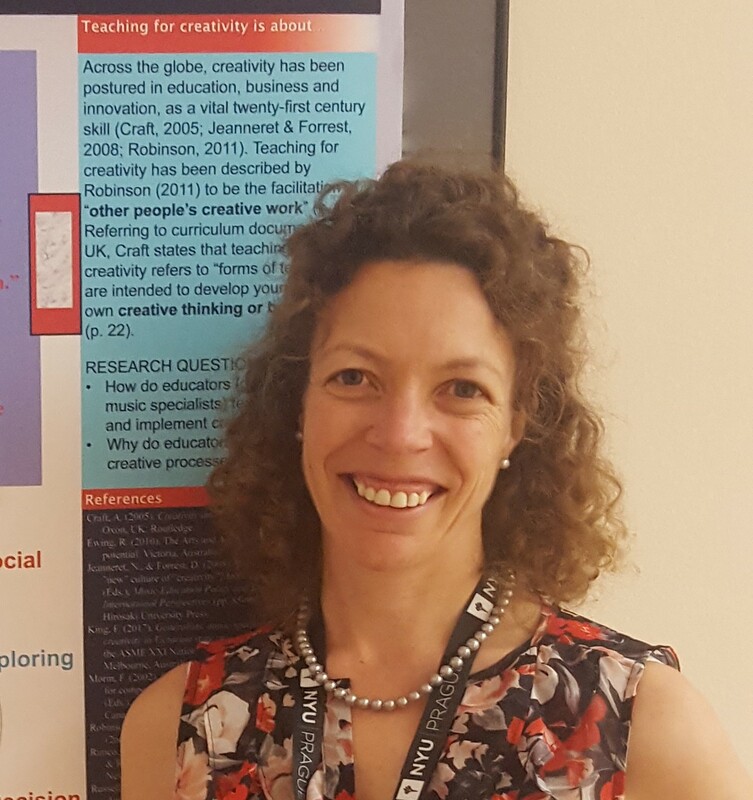 Following two decades of performing arts teaching across primary, secondary and tertiary settings, she now delivers arts education units specifically for pre-service teachers and Master of Teaching students in face-to-face and online environments. Fiona completed a Master of Education by Research in 2016. She is currently a doctoral candidate and a sessional academic at RMIT University. Her main research interest area is arts education, specifically creative processes and music education in primary school settings. Fiona gratefully acknowledges the support of an Australian Government Research Training Program Scholarship.